Former Israeli Prime Minister Ariel Sharon's Health Worsens : The Two-Way The 85-year-old Sharon has been in a coma since 2006, when a massive stroke incapacitated him. 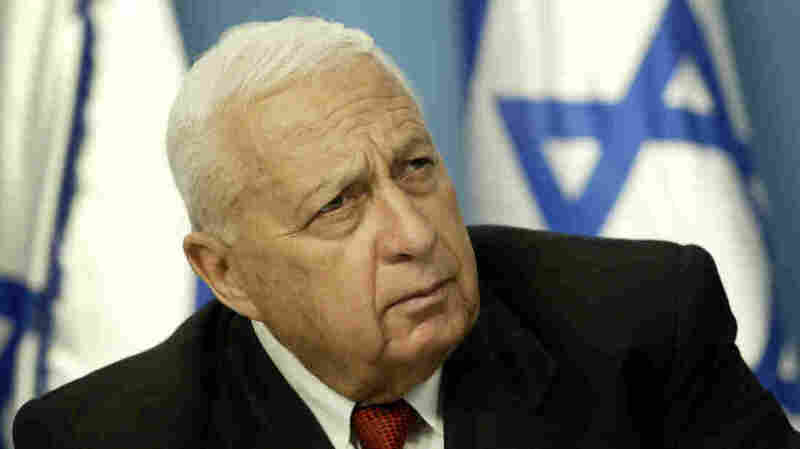 Former Israeli Prime Minister Ariel Sharon's condition has taken a turn for the worse, the hospital treating him said Wednesday. Sharon, 85, has been in a coma since 2006 when a stroke incapacitated him. The condition of Israeli former Prime Minister Ariel Sharon deteriorated Wednesday, according to the hospital treating him. "A spokesman for the hospital that has been treating Mr. Sharon, 85, said that 'there has been a deterioration in his medical condition.' A person who had been briefed on the situation, but spoke on the condition of anonymity because of its delicacy, said Mr. Sharon had suffered a setback about a month ago and spent two weeks in intensive care after emergency surgery, then seemed to have stabilized before the most recent turn." Sharon is one of Israel's most iconic figures. Before being elected as prime minister in 2001, he was one of the nation's most famous generals. In mid-2005, Sharon directed the complete withdrawal of Israeli troops and settlements from the Gaza Strip. Sharon was on the road to re-election when he suffered the stroke. His newly created political party, Kadima, replaced him with Ehud Olmert, who went on to be elected prime minister.